Click the links below to learn more about the benefits of chiropractic care. 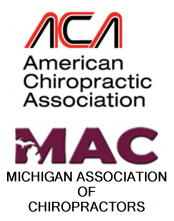 The American Chiropractic Association (ACA) receives many questions about chiropractic. Click the link above for answers to the some of the most commonly asked questions about chiropractic care. What can I do about a doctor of chiropractic I feel is behaving in an unethical manner? Chiropractic is a health care profession that focuses on disorders of the musculoskeletal system and the nervous system, and the effects of these disorders on general health. Chiropractic care is used most often to treat neuromusculoskeletal complaints, including but not limited to back pain, neck pain, pain in the joints of the arms or legs, and headaches. Click the link above to learn more about chiropractic research, back pain facts and statistics, the history of chiropractic care, chiropractic education, and consumer heatlh tips from the American Chiropractic Association. Click the link above to learn more about specialized aspects of the chiropractic treatment approach.